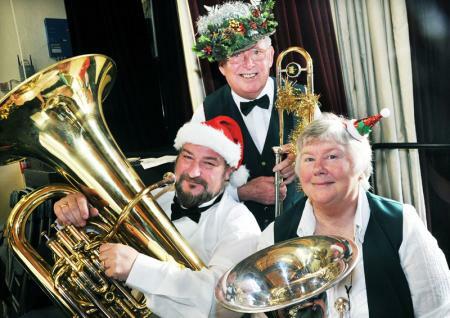 “Picture courtesy of The Westmorland Gazette”. 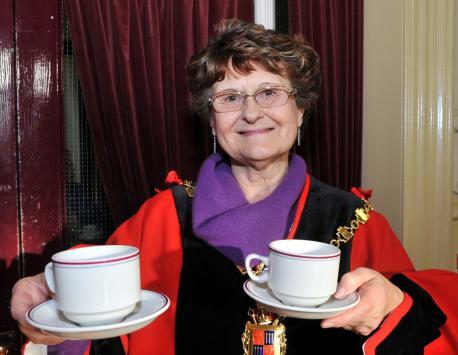 THE mayor of Kendal hosted her annual charity Christmas coffee morning today (Saturday December 21st) with guests in full festive spirits. 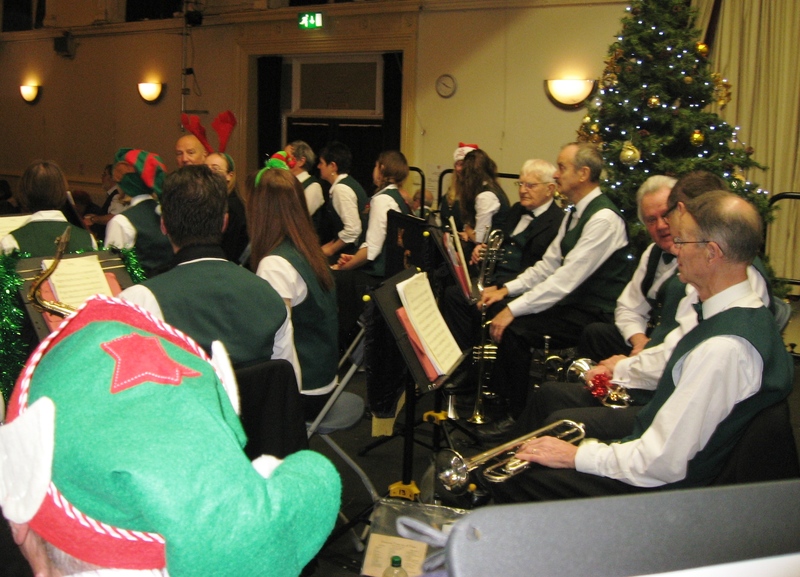 The Assembly Rooms at the Town Hall was jam-packed with visitors enjoying cakes, coffee and mince pies with all the money raised going towards Coun Sylvia Emmett’s five charities, based at the Gateway Centre in Kendal. 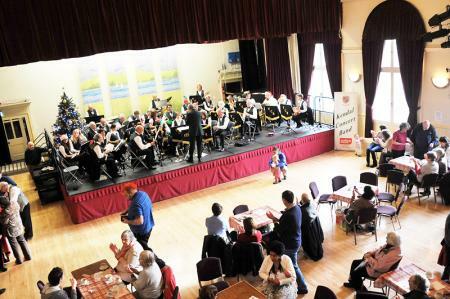 The morning was made extra special with the conductor of the Kendal Concert Band bowing out for the last time. 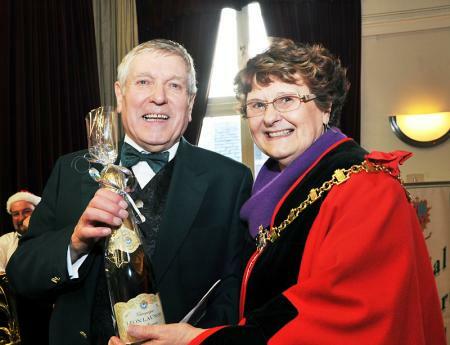 Jim Quincey is retiring after 22 years and was presented with champagne by the mayor who thanked him for his contribution to the celebrated band. 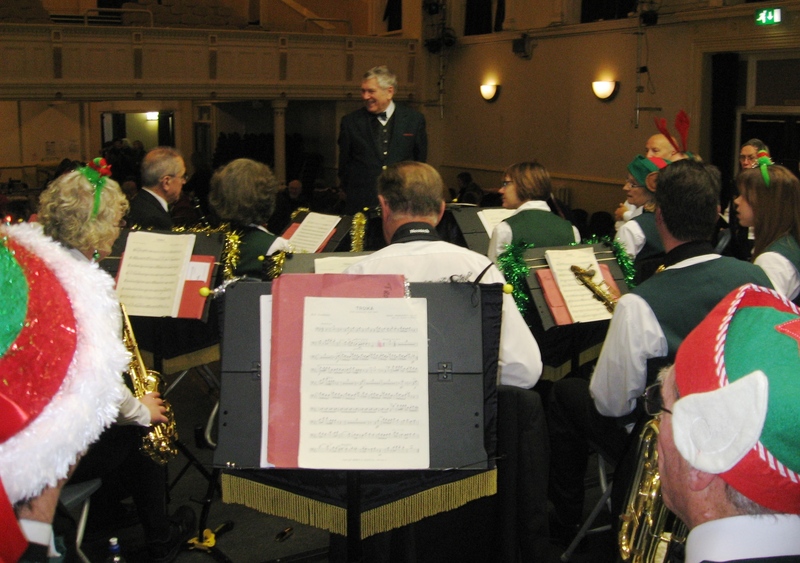 Jim Quincey is an ex-military musician who served with the Royal Scots Dragoon Guards and has had fond memories of his time with the band. 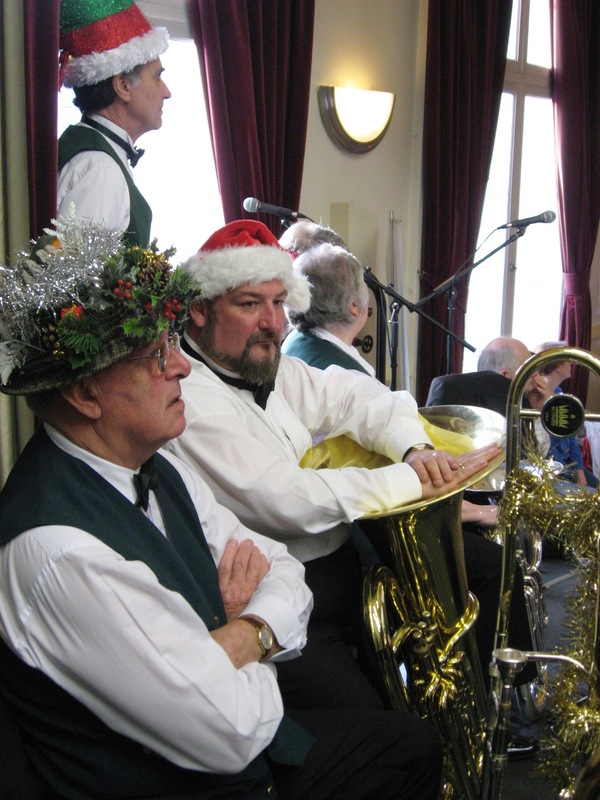 Mr Quincey said: “I have had so many wonderful memories but my most memorable have to be our visits Kendal’s twin town, Rinteln in Germany. 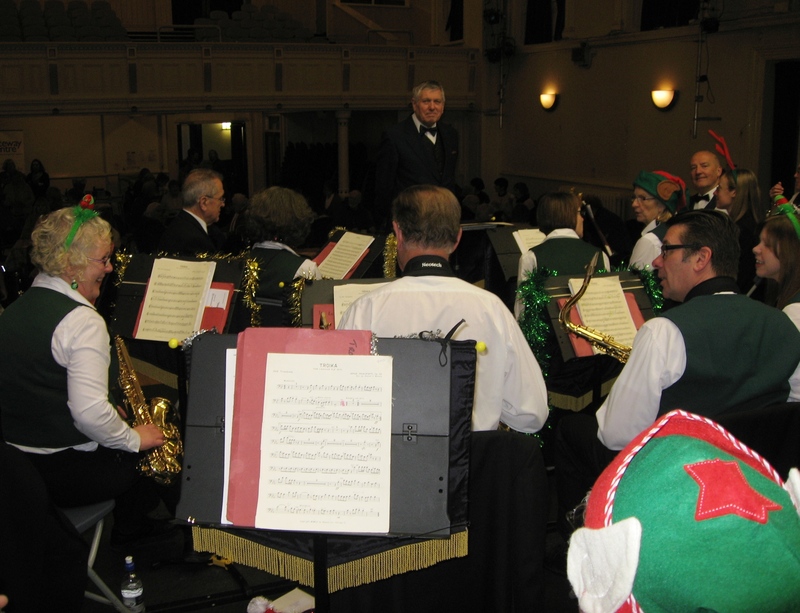 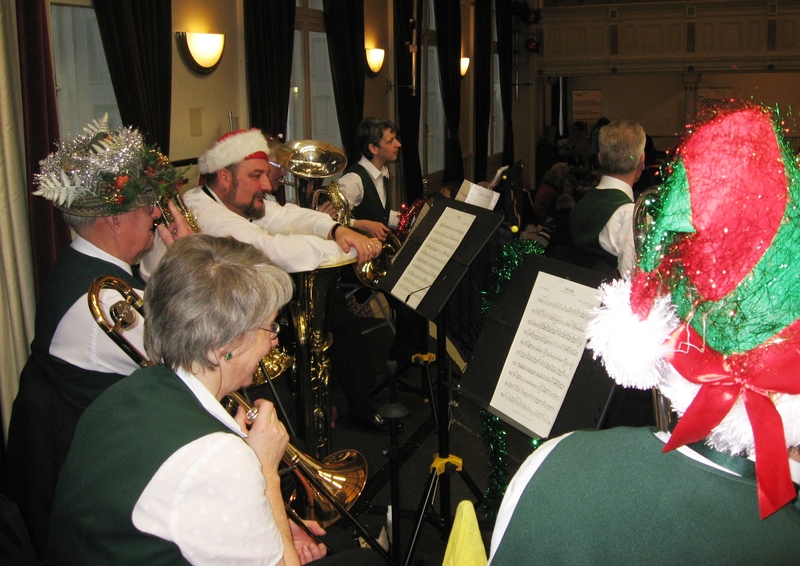 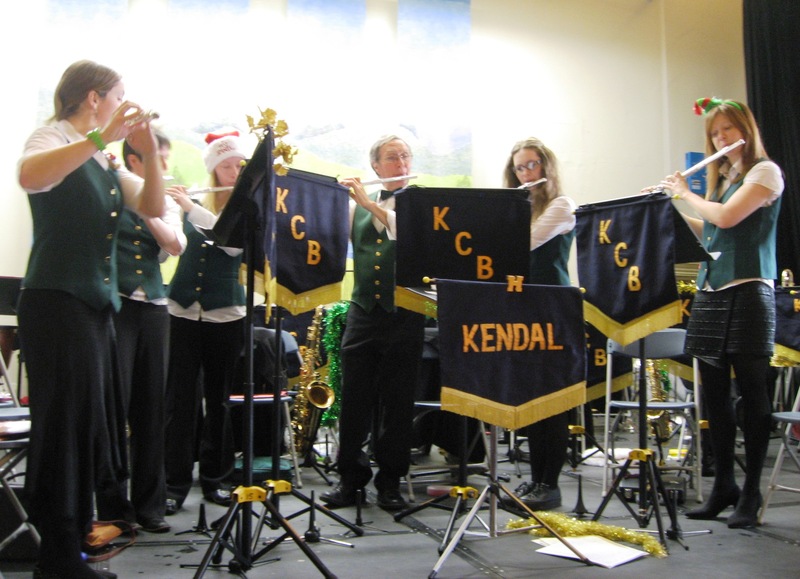 As well as Kendal Concert Band belting out festive tunes, the dance troop Tokari entertained the crowds.